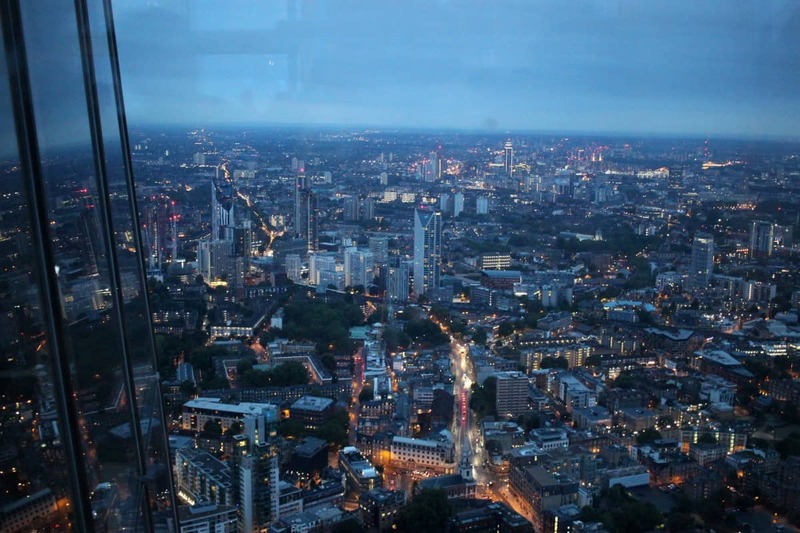 The View from the Shard as a Family – Is it Worth it? When we went to London a couple of weeks ago we had a London Pass which gave us entry into many of London’s attractions. They all closed around the same time apart from The Shard which was open until 10pm at night so we thought it would be a good opportunity to take the children somewhere we wouldn’t usually visit. 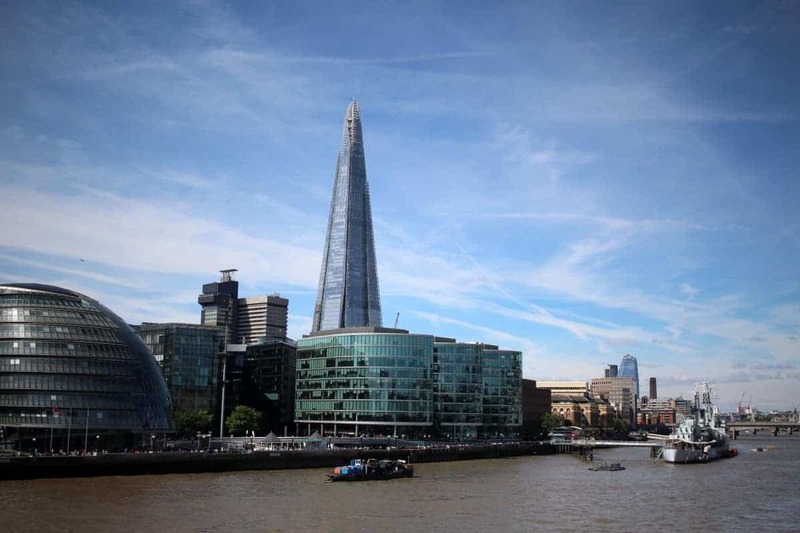 One thing that’s worth noting is that if you have a London Pass or any other third party ticket you do need to visit The Shard to book a time slot to actually go up and admire the view – you can’t just turn up. This meant that instead of going up The Shard at 5:30pm as we’d hoped we had to book after dinner, at 9pm on a Saturday night which wasn’t ideal with young children. But, we made it back to The Shard at 9pm and the process to gain entry was simple – having tickets scanned and then going through airport style security. We were then sent up to the viewing platforms via two lifts – one wouldn’t go high enough – so we changed lifts on the 33rd floor and took a second lift to the top. Once at the top of The Shard we had access to two areas – the open air Skydeck on Floor 72 and the slightly lower indoor viewing gallery. It’s worth noting that there is no time limit once you’re inside The Shard so people can, in theory, stay all day. It meant that when we visited at 9pm it was incredibly busy and as there’s a champagne bar and snacks and drinks available to buy people were pretty much spending their whole evening camped out in the viewing galleries. If I’d known this in advance I would have probably gone to one of the first time slots of the day when it would have been quieter – they let people up at regular time slots with their tickets but no-one has to leave. It’s not the best thought out process to be honest. But, being the tallest building in London it did give great views, and of a part of London we hadn’t really seen from a height before. We’re used to the London Eye views but we were literally looking down on the London Eye further up the Thames and it was tiny in comparison to the View from the Shard. We saw all four views on both of the viewing galleries and then we were done. 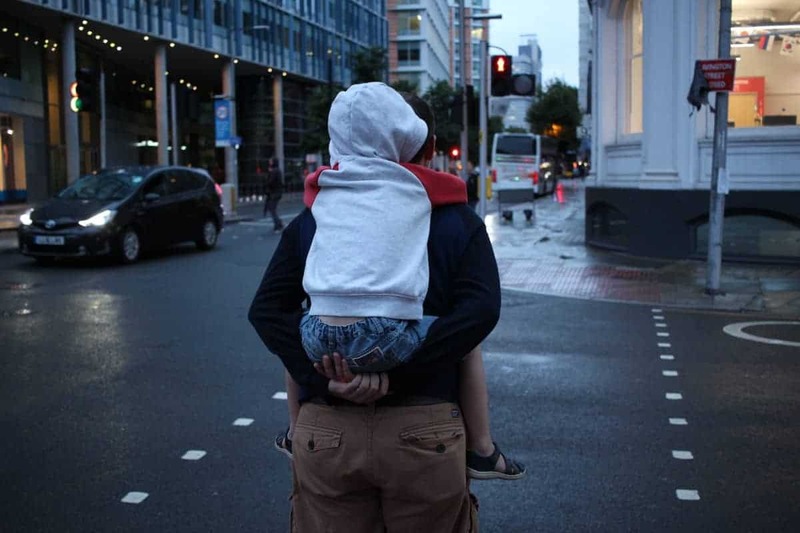 The children were tired and it was so busy and full of drunk, rowdy people starting their night out that we only actually stayed up The Shard for about half an hour – which is one of the benefits of having no time limit, you can leave when you like. However, I do think having time slots and making sure people leave after an hour or two would really make the experience a more pleasant one. 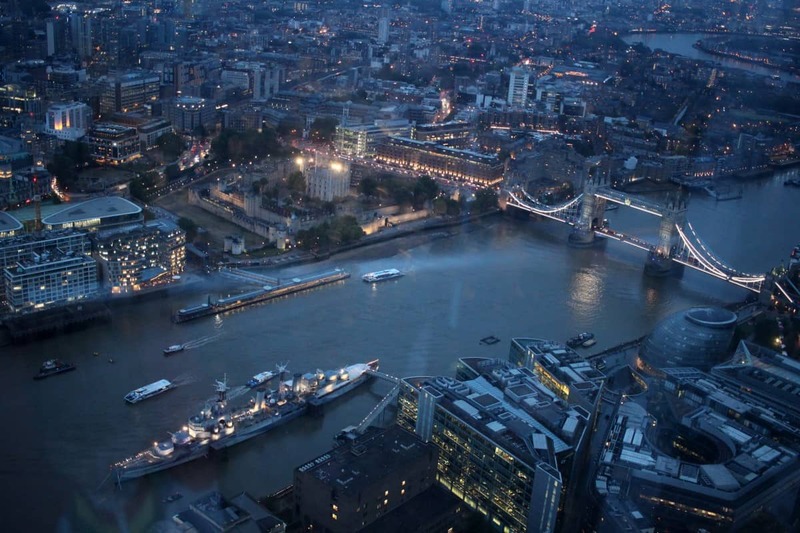 So, is the View from the Shard worth the money? No, I don’t think so. It’s £79.95 for a family of four on the day or £59.95 if booked more than 14 days in advance. I think it’s a nice treat as part of a day out but it’s not something I would ever pay that amount for – especially as most children would see the view and then be happy to leave soon after. If you have a chance to see the View from the Shard then it’s worth experiencing but I do think it’s a really expensive addition to any day or break in London. To really make the most of it if you are happy with the ticket price I would book an early slot and be in and out before the crowds arrive. Disclosure: We used our London Pass to access the above attraction and thought we’d share it with you. As always all thoughts are my own. Just discovered your blog 😊 from Instagram…I am a fairly new follower. I love your writing, feels like a visit with a friend! Thank you!